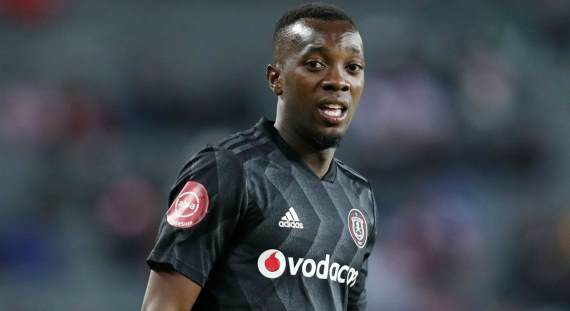 Orlando Pirates coach Milutin Sredojevic believes Justin Shonga will find his scoring boots despite missing a number of chances in Saturday's 1-1 draw with AmaZulu. Augustine Mulenga put the Sea Robbers up 1-0 but Shonga missed a chance not long afterwards to make it 2-0. the Zambia forward also missed a one-on-one when he was denied by goalkeeper Usuthu goalkeeper Siyabonga Mbatha. The 21-year-old later hit the wood work and it lead to the home side managing to salvage a draw. Nonetheless, Sredojevic has faith in the striker after the international break: "Justin Shonga, he did very well, he was moving, he was trying. "He did three things we asked of him as the striker: to be the first line of defence, try to intercept the balls, to help us enter into attack and to assist or convert the chances. "He did the hardest parts to come and create the chances. However, he was not converting. Now those are the players we count on. We need to encourage them, we need to give them support, because it could not be that all the hard work that he has done has gone because of missing the chances. "We are not playing the blame game. These are our boys. We have the highest degree of respect for them, we believe in them, we have trust and confidence in them. We believe that when we give support, the time will come when the same Shonga will pay back with goals scored."